Ultimate Direction have a strong reputation for the design and development of innovative packs, vests and waist belts for trail and ultra running. 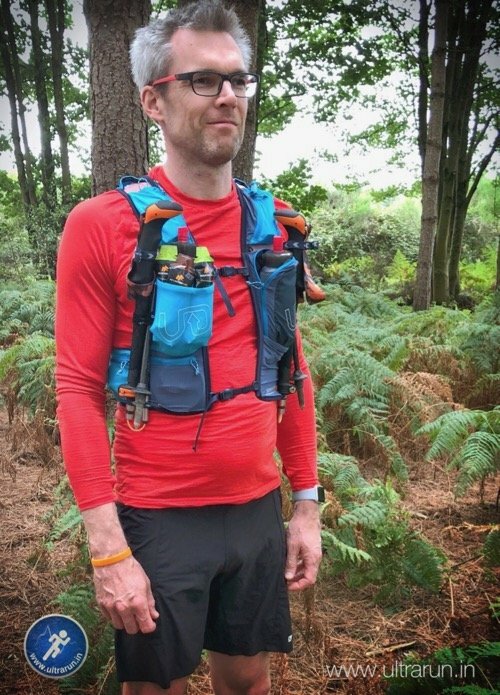 I have been a massive fan of their packs for a number of years and even went so far as to declare the Ultimate Direction PB Adventure Vest 3.0 “… as close to the perfect running vest I’ve found so far”, when I reviewed it back in 2016. I was therefore excited and a little anxious to hear that Ultimate Direction had further evolved the design, with the launch of the Adventure Vest 4.0. Could they fix the minor concerns I had about fit and make the absolute perfect running vest? Would any changes alter the many positive features or heaven forbid, make them worse? I was curious to find out more, so reached out to Ultimate Direction, who were kind enough to send me a vest to review and I set about putting it through its paces. With Lakeland 100 on the horizon I had the perfect environment to put the Adventure Vest 4.0 to the test. I did a few local test runs to make sure there weren’t any hidden surprises, which I was happy to find there were not and so I loaded it up with my mandatory kit for the race and headed north to The Lake District. So have Ultimate Direction made the perfect vest? Nearly but not quite! To find out more, head over now to MyOutdoors.co.uk and read my full in-depth review of the Ultimate Direction Adventure Vest 4.0. Race Report: Lakeland 100 (2018) - The Greatest Show!